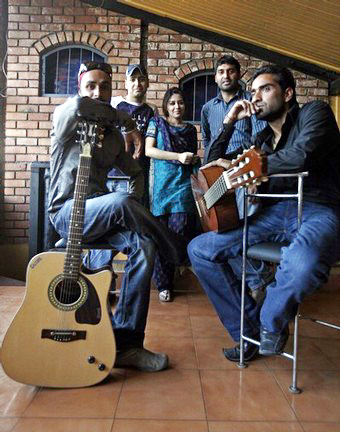 SHEHJAR - Web Magazine for Kashmir :: Kashmiri Band "Immersion"
Immersion is a 5 member Kashmiri Musical Pop/Rock Band that sings for Kashmiriyat.They are the Messengers of peace and love in the violence-torn valley. 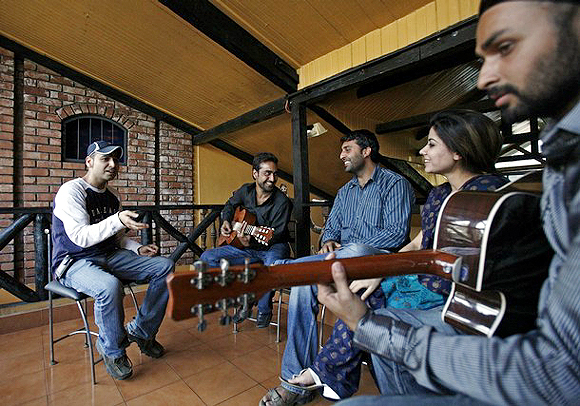 Immersions motive is to erase the traumas faced by Kashmiris especially the youth through music. IMMERSION stands for Immersing oneself in the sea of music in order to get relief from depression, stress and sorrows that every Kashmiri has faced. In 2005, they released an album Sukoon, with the remix version released in 2006. The album has issue based and romantic songs. They sing songs in Hindi, Kashmiri, Punjabi and English. 28 year old Amit Wanchoo dons many hats; that of a doctor, activist, singer, eventmanger and writer-composer of immersion band. He also directs music videos for Immersion. 25 year old Kingpaul Singh is the lead guitarist, lead singer and composer. 26 year old Irfan Nabi Bhat is a backup guitarist of immersion and a talented musician. He plays guitar, violin and drums and was honored in 2000 with the Best Guitarist Of The Year award in Goa by an eminent musical maestro AR Rehman. 24 year old Bilal Matta is a classical singer and solo ghazal artist .He is the lead keyboard player for Immersion. And 23 year old Mahmmeet Syed is band's only female singer. She plays the Keyboard and Flute as well. Amit Wanchoo teamed up with Kingpaul, while he was studying at Sher-e-Kashmir Institute of Medical Sciences, Srinagar to start the band. 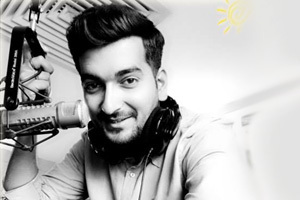 During these years, Amit observed that most of the medical students, youths and patients would report to the psychiatry department for depression syndrome and this triggered Amit to initiate a positive environment through music in his medical college and Kashmir. 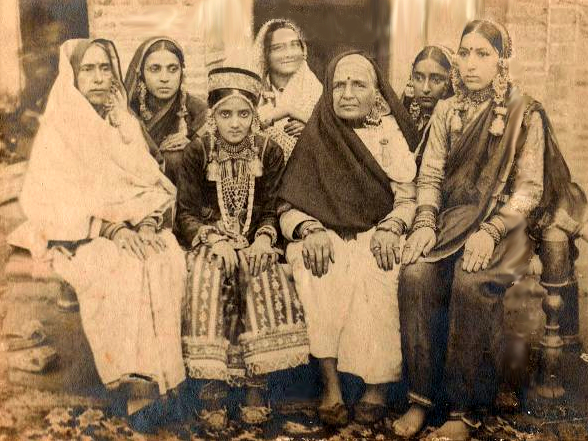 Amit Wanchoos family is among the few Pandit families who stayed back in the valley after the mass exodus of Kashmiri Pandits. In 1992, separatist militants murdered his grandfather H N Wanchoo and the pain is evident in his lyrics and composed music for the band, which urges for peace and harmony. The band has received threats from fanatic elements and anonymous miscreants since their inception but the threats could not deter their conviction and motive. They have been in print media of Times of India, ABC news, NY times, Reuters, international business times and many local dailies. Immersions shows have appeared on local radio stations, CNN-IBN and Pakistani FM channel. The band has played for many government charities and NGOs. The underlying message of the band is to spread love and peace not wars. They have channeled their suffering into positive energy for creating an ambience of harmony and love in the valley. Barson mein mere aaspas sab kuch badal chuka hai na woh sharabi sahab hai naa watal sahab naa kaul sahab aur naa bhan sahab Hawaa bhi chalte chalte kisi kau dhoondti hai Kahaan ghaye woh apne jineh main choomti thi. And in their latest number: Badal denge duniya ki Tasveer We the youngsters of Kashmir Milegi manzil yeh hai yakeen Manzil humse door nahin. 1. Amit, please tell us what is Immersion all about and aim of your band. Amit: IMMERSION is more like an institution, where in we combine music with human emotions and try our best to vent out the inner feelings of youngsters who have suffered a lot in twenty years of turmoil. Infact music is the best way of expression and you can deal with any issue in a very balanced manner. The aim of IMMERSION is to produce soothing music for listeners, also give Kashmiri music a new and global look because you know that KASHMIR never had a rock/pop music band. Lastly, IMMERSION should be an uniting force between different communities of Kashmir irrespective of religion through music, because all of us need to meet and talk more often rather than avoiding each other. IMMERSION has encouraged many youngsters in Kashmir and we are trying our best to help them, so that the difficulties we faced in initial stage should somehow be minimized for the upcoming youngsters. 2. What inspired you to start a musical band and how did you all meet? Amit: All this started in 1997. I had just joined SKIMS (Sher - e - Kashmir Institute of Medical Sciences) medical college in Srinagar. The situation in the valley was highly volatile, I was the only Kashmiri Pandit in the whole college and most of my relatives were not in favor of my joining the college. But anyways continuing my stay in college the experiences in the initial phase were mixed, some of them were good some of them were bad. But definitely I owe a lot to my Kashmiri Muslim friends and teachers, who not only supported me but also would protect me all the time. No one could meet me directly in the college, as all of them would first make it sure whether the person who has come to see me has right credentials. Prof. Aslam (Anatomy) and Prof. Sameena (biochemistry) are the ones to whom I owe a lot. During these initial months I could feel that most of us (medical students) were suffering from depression syndrome. The whole atmosphere used to be tense and stressful. All the extra curricular activities in the college were missing and there was nothing-great happening in our lives. One Friday after lunch when our classes were over and we were sitting outside the dissection hall. I used to write poetry and after requests I started reciting some poetry which was followed by participation from my college colleagues and within half an hour we were having a full bloom entertainment which included mushaira, jokes, music and lots of other fun. That was the first incident, which made me understand the importance of Music in a turbulent situation. After the event all of us were so relaxed and it was for the first time we all were laughing from the core of our heart. Soon after the incident, I organized freshers day music party, which was very difficult to organize in Kashmir during those days. We did get some anonymous letters threatening my friends and me to stop the event but somehow we went ahead and the show was a big success. That was the turning point for me and I decided that KASHMIR and KASHMIRIS need such things at a regular interval. This is how the word IMMERSION came into my mind. IMMERSION (Immersing ourselves in the sea of music in order to get relief from depression, stress and sorrows that every Kashmiri has faced). The first one to meet me was Kingpaul Singh who was introduced to me through a common friend Shakeel and right from the first program we clicked. After few days, one of my friends introduced me to Syed Mehmeet. She was an excellent singer and we did some programs together. Latter, I told her about the band and she was very excited to join it. So from then, we started doing a lot of shows together. Later on King introduced both of us to Irfan, who plays guitar and after consultation he was the fourth one to join .It was Irfan who introduced all of us to Bilal who is a keyboard player and classical singer for Immersion band. So, this is how we met, the band got its members and is going on. 3.Please tell us about Immersion's band members. Amit: IMMERSION has at the moment five members, out of which three are permanent basic members. Qualification: A medical doctor specialized in psychiatry and oncology, running pharmaceutical manufacturing unit in Kashmir (which is the only one), Consultant with Rising Kashmir (www.risingkashmir.com), English daily from Kashmir. Recently was selected as YALE WORLD FELLOW 2007(Representing South Asia as an emerging leader). Role in BAND: Founder. Major role is in composing and writing songs. Directing Videos. Achievements (SELECTED): COMMONWEALTH FELLOW 2007, YALE WORLD FELLOW -2007, FOUNDER ROTARY CLUB KASHMIR, PRIDE OF KASHMIR AWARD 2006, SOCIAL ENTREPRENEUR AWARD 2006 for founding band. QUALIFICATION: MCA, one-year diploma in audio mixing and recording. Role in Band: Lead singer and composer. Writes sometimes. Achievements: Saaz and Sur award for best singer, Voice of Kashmir award 2006, Best Hindi Punjabi music album SUKOON 2005, honored by Justice Tankhaw memorial society Jabalpur, Sikh sabha, J&K artists foundation. Qualification: B.Sc. with special training in vocal music. Achievements: Saaz and Sur award for best female singer, Honored by almost everyone for giving a new flip to Kashmiri songs and presenting them in a refreshing way. Qualification: Graduate with special training for guitar. Two years of diploma in audio recording and mixing. Role in Band: back vocals, playing guitar, violin and drums. Achievements: Awarded by A.R.Rahman as the best guitarist in a function at Goa. Qualification: two years diploma in Indian classical music. Role in Band: Playing Keyboard, Flute and back vocals. Achievements: Honored at college level. 4. What genre and issues are your songs based on? 5. Please tell us about your album Sukoon? Amit: SUKOON was released in 2005 and remix version in 2006 after a grand success. SUKOON was an album, which had romantic songs, and songs based on issues. The album was done in Hindi and Punjabi, because those days the market was good for such music. We named it SUKOON because all of us in Kashmir needed it badly. Picture with Omar Abdullah at the release ceremony of Immersion's music album SUKOON. Amit is in blue color shirt . 6. How do you all deal with the challenges as a band and threats you receive from anonymous miscreant and fanatic elements? Amit: It is very difficult to survive challenges especially for a musical band in Kashmir. We have aced many challenges since our inception. The unfortunate thing is that even our families dont support this because according to them it is not a good choice for profession in Kashmir and secondly the risk factor involved with it is great. So the challenges we faced and are still facing are at economic, social and political levels. Well let me be honest till date most of the threats that I have received on phone or through pamphlets were by people who were either jealous, or from the music fraternity or had some personal rivalry with us. I havent got a straight call from any militant. All of them were using the name of militant organization. However we do face problems sometimes from the fanatic elements who are not in favor of music and that time we have to change our strategy but thanks to god that with time people have started respecting us and these issues have narrowed down. 7. Where do you derive your inspiration, calm and composure amidst the violence, which has gripped the valley for almost 20 years? I tell you KASHMIR has something in its air, which gives you inspiration irrespective of the injuries, which Kashmir and Kashmiris have suffered. 8. How is the response of the local denizens to your live concerts? Amit: Touch wood it has been phenomenal, right from start. Our audience is predominantly youngsters but of late we have started targeting family crowds, which helps you to reach to a broader audience. We want this band to be identified as the band of masses. 9. What makes Immersion band different from other musical bands? Amit: Firstly it is the first Kashmiri rock/pop band, which is multireligious having representation from all communities and is active socially in a region which has seen unlimited conflict and violence. In addition the band makes music which is combining Kashmiri Sufi music and modern music. Music has a very important role in conflict situations and I think that way also IMMERSION is different than the rest of the musical band alive. 10. How do you manage the finances to produce, promote and distribute your albums. Where do you record your albums? Amit: Initially it used to be an affair managed through our pocket money and other resources. But definitely after 2007 the things have been better. Thanks to YALE WORLD FELLOWS PROGRAM, which has helped me in sustaining the activities of band on a larger scale. We record our albums in Srinagar itself because lots of studios are coming up over here, but initially we used to record in Chandigarh. 11. Immersion's present and future albums. Amit: Our Single Solo big hit was SUKOON. In addition to that we have done many assorted albums. Our new album is releasing early next year. Over here the disturbance affects our planning a lot so delays have become a part of our lifestyle. 12. Future plans of Immersion. Amit: Immersion plans to go international by end of 2009. We have done many programs in our state. 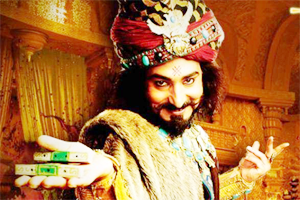 This year we have received invitations to perform in various metros throughout India. Immersion has three basic founder members Amit Wanchoo, Syed Mehmeet and Kingpaul Singh. All of us are of the opinion that our band has to contribute in social sector and also we want to provide more and more opportunities to youngsters to join us in performance and pursue their respective careers simultaneously. 13. Any message you would like to share with the viewers. Amit: Entire world is in a mess of terrorism and violence. May the bells of happiness always ring the temples of your life and we all get freedom from violence. *Bhumika Raina is Youth Editor of Shehjar Magazine. She was raised in Mumbai, India. She has graduated from New Jersey Institute of Technology in Computer Engineering and is presently working in the IT department at Mass Mutual, MA. Her passions and interests are Travelling, Spirituality, Reading, Music, History and Creative Writing. This is a very good feature. Great work Bhumika. Amazing what you are doing Amit, Kingpaul, Mehmeet. It is so nice to read about our youth taking up various challenging assignments in their careers. Thanks Shehjar Magazine for bringing highlighting these talented individuals. Immersion story sounds great. what about having their concert in UK and USA. it will be a great experience. The story of Amit Wanchoo is really touching and the young boy has lot of optimism. The Immersion story is great. Amit wanchoo's story is really touching. what about having the concert of this band in USA and UK and in other parts of india. Great job. I want to see kashmir same as before when i would eat, talk, attend KM marriages. I long for the day to meet my KM friends. I always dream of going back to kashmir and enjoy the cycle rides to Harwan with my KM friends. God let us all see the days of going back to kashmir. Amit and the gang are doing a fabulous job. May the Almighty shower all his blessing on you all. I look forward to meet you all. You have brought me back to kashmir. immersion great work. sheen u r right i miss KP marriages a lot. please immersion do a concert to bridge differences between two communities which unfortunately is creation of media and politicians.